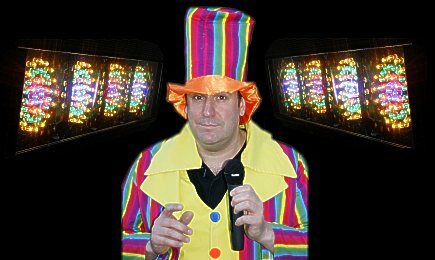 Experienced children's entertainer wearing a load costume fit for a circus clown with loads of party music, dances, competitions and games. For small parties of up to 30 children the price includes a balloon model for every child with the clown DJ who moves around the party table making the models of poodles, silly hats and swords etc during � hour tea break. Fees vary according to venue, date and time. Prices subject to VAT, availability, accommodation and transport costs where applicable. Prices include �1million PL.